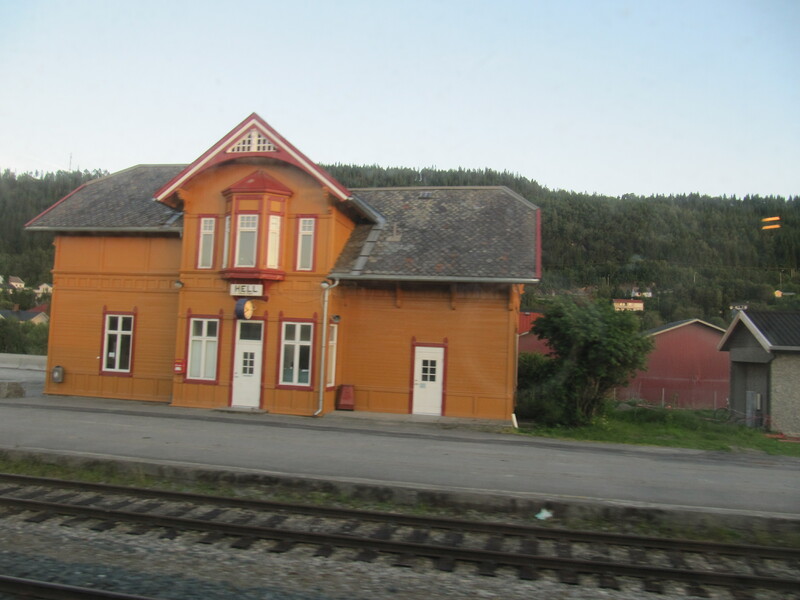 «Togreiser» is the Norwegian word for train journeys. 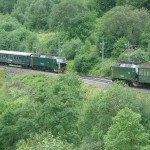 This site provides information on travelling by train in Norway and from Norway to the rest of Europe. There are many sites with information in English on train journeys all over the world, but very few are focused on Norway. Here you get an overview on how to get to Norway by train, and some information on the most scenic routes in Norway. For more information from the rest of the site use Google Translate. From Europe, the main train line to Norway is from Copenhagen in Denmark, via Gothenborg in Sweden to Oslo Central Station. Ordering tickets from www.nsb.no, you can get tickets as low as NOK 249 from Gothenburg to Oslo. For tickets from Copenhagen through Sweden you need to order tickets using www.sj.se. As for many other countries, you can find updated time tables at www.bahn.de. There is also a line from Stockholm to Oslo via Karlstad. 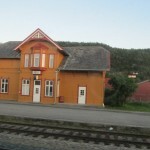 Further North you can travel from Sweden to Trondheim or Narvik. 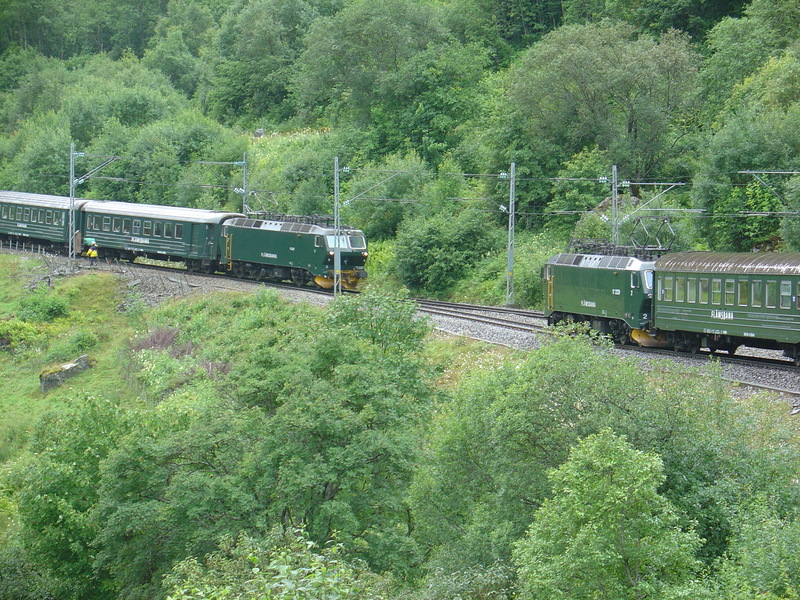 We consider the Rauma railway line to be Norway’s most scenic train route! It starts at Dombås in the mountains, crosses some of Norways most spectacular scenery and finishes at Åndalsnes, decending 655 meters along the way. 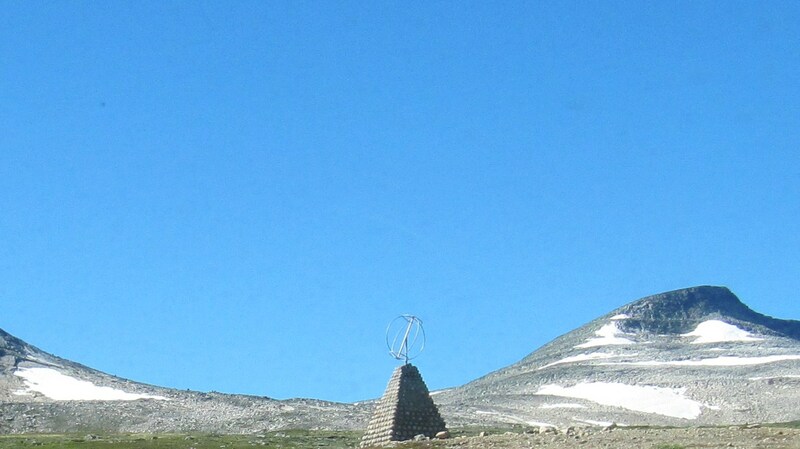 During the summer season, special arrangements are made for tourists with various photo ops during the journey, including information in English and German. This is the steepest adhesion railway in northern Europe and one of the most popular tourist destinations in Norway. Read more about this spectacular railway at www.flaamsbana.no. This line goes across the mountains from Oslo to Bergen on the west coast of Norway. 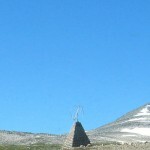 It reaches its highest peak in the Finse tunel, 1237 metres above sea level. Scenic parts in the mountains, although tunnels and avalanche shields steals some parts. The Nordland Railway starts in Trondheim and goes north to Bodø, passing the Arctic Circle on its way on the scenic Saltfjellet. According to Lonely Planet, this is one of Europe’s 8 best night trains. As a curiosity the Nordland Railway also passing Hell on its way. 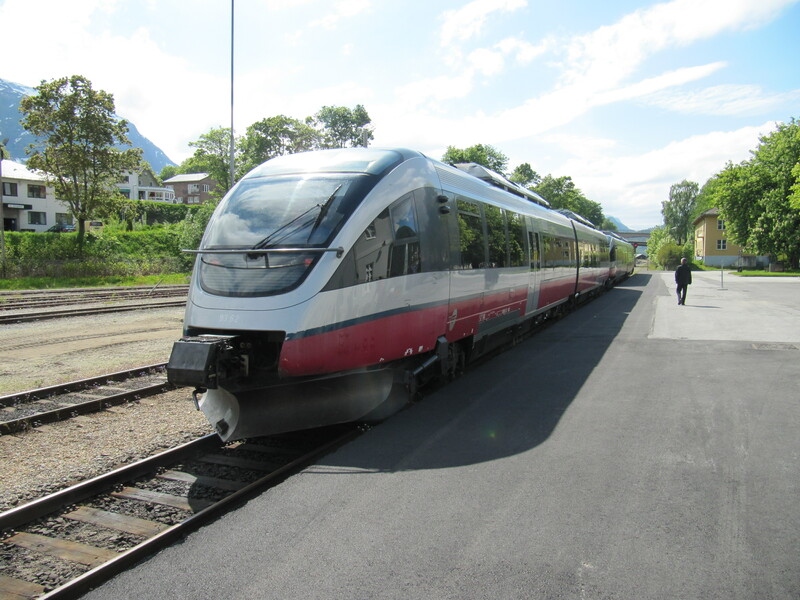 Cheap tickets called «Minipris» can be purchased on most travels from NOK 249 and must be bought online from the website of the Norwegian State Railways at www.nsb.no. Here you can also read more about train journeys in Norway. Travelling with your own vehicle by train safe, comfortable and relaxed in Germany – is that possible? It is! 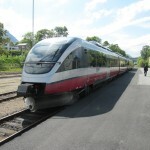 In 2017/2018 the BTE AutoReiseZug runs between Hamburg and Loerrach (near Basel at the swiss border). Plan now your stress-free journey for your holidays from north to south and vice versa. You can use the BTE AutoReiseZug all year round. Would you prefer to travel in complete privacy with your own compartment? Or would you like to travel conveniently and economically in a compartment shared with others? Whether with children or alone, whether as a group or as passengers with reduced mobility, you’ll find just the right option among our comfort classes and services, which all share one thing in common: they’ll ensure you have a pleasant journey.